Horses have a shared history with man going back millennia to their domestication around 4000 B.C. Yet only in very recent years have scientists begun to turn the tools of modem science on this remarkable animal that has been so wrapped up in human dreams and legends. Now modern scientific research is beginning to explain long-standing mysteries about the true nature of the horse. How well can horses really see? What causes breakdowns in racehorses? How intelligent are they compared to other animals, and are some breeds smarter than others? Does nature or nurture matter more in creating a great sport horse? What causes cribbing and other vices? 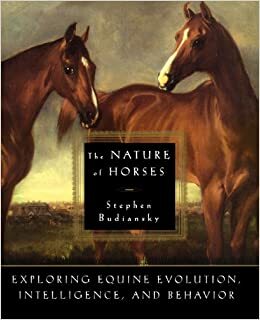 In this beautifully illustrated, compelling narrative, Budiansky tells the story of the origins, behavior, intelligence and language of the horse. For the first time, horse lovers will have access to cutting-edge research on topics of interest including new information on horse vision, horse biology and movement. Introducing the latest archeological findings, Budiansky presents a fascinating discussion of how the horse evolved as well as a dramatic and provocative history of man's use and abuse of the horse from prehistoric times to today. In a revealing chapter on horse intelligence, he debunks the commonly held belief that horses are stupid and also presents compelling new scientific information on horse language which will greatly benefit the horse rider and trainer. Finally, drawing together the latest research on horse physiology, genetics and biomechanics, Budiansky asks the million dollar question - what makes for a winning racehorse? Anyone who loves horses will find this an invaluable resource as well as a fascinating read.